Fluctuations in the mass of the polar ice sheets are of considerable societal importance, principally because they affect global sea level. In recent decades, satellite observations have revealed that the Greenland and Antarctic ice sheets are shrinking and between 1992 and 2011 they contributed 11.1 +/- 3.8 mm per year to global sea level (Shepherd et al. 2012). 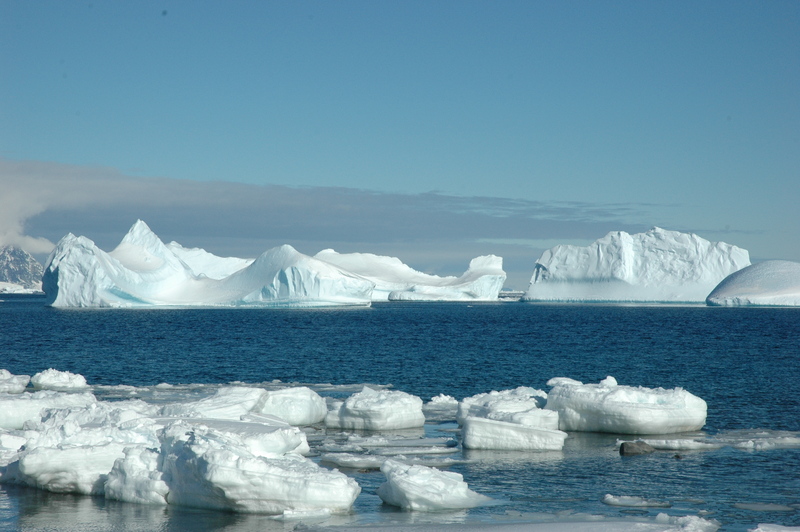 The Antarctic Peninsula, in particular, is experiencing dramatic environmental change, including atmospheric and ocean warming (e.g. Vaughan et al., 2003; Meredith and King, 2005), ice shelf thinning (e.g. Shepherd et al., 2003) and collapse (e.g. Vaughan and Doake, 1996, de Angelis and Skvarca, 2003), accelerated glacier thinning and flow in the wake of ice shelf collapse (e.g. Scambos et al., 2004; Rignot et al., 2004), and widespread retreat of tidewater glaciers (e.g. Cook et al., 2005) These changes have major implications for the regional ice sheet mass balance, and for global sea level rise. Observations indicate that the Antarctic Peninsula Ice Sheet is responsible for approximately 25% of all Antarctic Ice Sheet mass losses, despite occupying only 4% of the continental area (Shepherd et al., 2012). However, because the region is comprised of a relatively large number of small and distinct glaciological systems it has proven difficult to survey. In consequence, a comprehensive assessment of the regional ice sheet mass imbalance and contribution to global sea-level is still lacking.